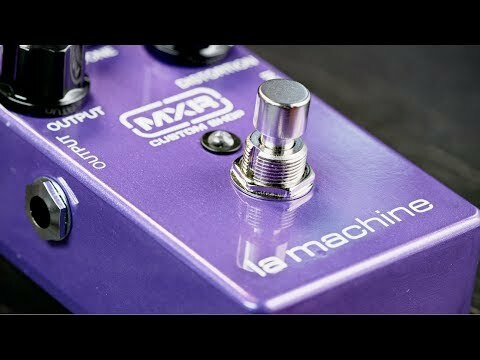 Bringing together two different yet complimentary effects, the LA Machine delivers a serious '70s-esque psychedelic fuzz. The vintage fuzz .. Bringing together two different yet complimentary effects, the LA Machine delivers a serious '70s-esque psychedelic fuzz. The vintage fuzz distortion not only creates rich fuzz tones but has an octave doubler too which adds another searing layer to your fuzz sound, one octave above the guitar signal pitch. As with all standard MXR effects, the pedal is road-ready housed in an aluminum chassis with true bypass circuitry.